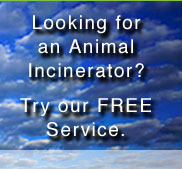 Our FREE service will enable us to help you find a new or used Animal Crematory or Incinerator. Let’s face it, there are so many providers out there of New and Used Animal Crematories and Incinerators, it can be overwhelming to try to select the best supplier for your needs. That’s where UsedAnimalIncinerators.com comes in. 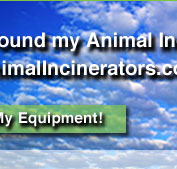 Our name says “UsedAnimalIncinerators”, but we’re specialists in finding for you the right New or Used Animal Crematory or Incinerator and we don’t charge for our service, so we save you the countless hours required to locate and screen suppliers. 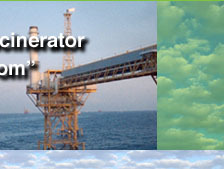 How it works: UsedAnimalIncinerators.com uses its contacts throughout the industry to find you the new or used equipment you need. Typically, equipment suppliers are limited by a small used inventory or a narrow selection of technologies. 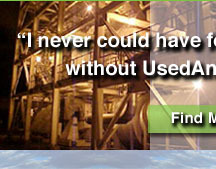 Not us - We are networked with literally dozens of sources for the best new and used Animal Crematories or Incinerators. Simply provide as much information as possible to help us pinpoint the best equipment for your needs. When we’ve located the best supplier(s) for your Animal Crematory or Incinerator we contact you immediately. Use this handy form to tell us whatever you can about your Animal Crematory or Incinerator requirements or simply send us an email at Service@UsedAnimalIncinerators.com or give us a call at 866-707-0530. Have a used Animal Crematory or Incinerator you don’t want? Required Please don’t let the length of this form concern you. Every field does not need to be completed. Provide whatever information you can and we'll get started for you! If additional information is available, such as a specification, please attach it to an email to: service@UsedAnimalIncinerators.com.